1 Who is A$AP Rocky? 3 How did A$AP Rocky became famous? Born Rakim Mayers on the 3rd of October 1988, under his stage name of A$AP Rocky he is an American hip-hop artist, actor, and fashion icon, who became famous for his songs “Peso” and “Purple Swag”. He gained attention for his unique style, and later on entered the world of fashion working with big names including Raf Simons, Jeremy Scott and the fashion house Dior. Rocky was born in Harlem, New York City. His mother is an African American while his father was from Barbados. He also has two sisters and a brother. Rocky had a hard time as a kid, as his father was sent to jail when Rocky was just 12 in relation to selling drugs, while his brother was killed just a year later. It left him his mother and two sisters living and moving from one homeless shelter to another. He also resorted to selling drugs on the street to survive and help his family. Rocky started his love affair with rap music when he was in primary school. He started writing his own songs when he was in third grade, but didn’t actually start rapping until he was 17. How did A$AP Rocky became famous? At the age of 19, Rock joined the group A$AP Mob created by A$AP Yams, A$AP Bari and A$AP Illz, various artists and professionals who shared the same interest in fashion, music, and style. Some of the members of the group are rappers, producers and video directors who helped Rocky produce and release his first single, “Purple Swag” in 2011. The song became a massive hit in New York, and helped start his career. A few months later, Rocky’s yet to be released single “Peso” was leaked online and became a major hit. After releasing a video for “Purple Swag”, he started gaining attention from major recording studios; in October of 2011, he released his first mixtape entitled “Live.Love.A$AP” which was received positively by both fans and critics, and he also decided to sign a contract with RCA Records and Polo Grounds Music for $3 million. It elevated his career and also helped boost his net worth tremendously. After the success if his mixtape, Rocky released his debut album “Long.Live.A$AP” in 2013, featuring a number of artists including Kendrick Lamar, 2 Chainz, Joey Basa$$, and A$AP Ferg. The album reached No. 8 on the Billboard Hot 100 chart and sold over three million copies in the US. The album also featured such eventual hits including “Wild for the Night”, “Fashion Killa”, and “Goldie”. The success of the album also helped in his fame and wealth. 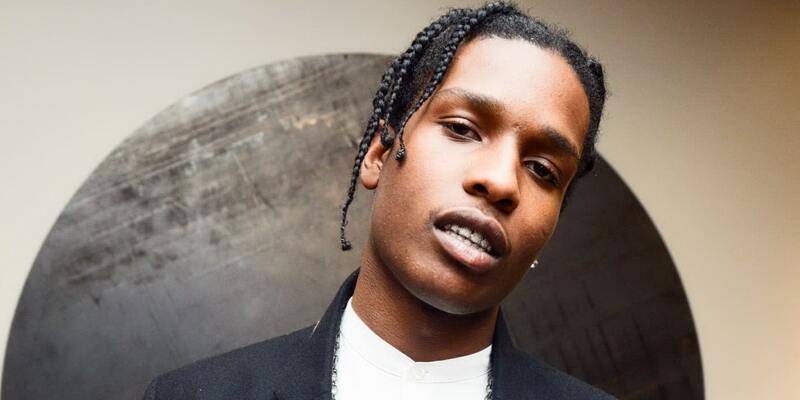 In 2015, Rocky released his second album entitled “At.Long.Last.A$AP,” and once again featured a number of big names in the music industry, including Kanye West, MIA, Mark Ronson, and even Rod Stewart. The album debuted at number one on the Billboard 200 chart, and again became a huge hit among his fans, and even the critics in the music industry with its psychedelic influences that he attributes to his use of drugs. The fame of the album also contributed greatly to his success and net worth. In 2018, after dropping hints here and there, he is set to release his third album – “Testing” – this year. Rocky also became known for his unique fashion sense; he is known to mention big fashion names in his songs including Hermes, Saint Laurent, and Raf Simons to name a few, and he later became friends with these designers, and started collaborating on various projects. Rocky along with his A$AP Mob crew partnered with West Coast label Black Scale to release a collection of sweaters and T-shirts. He also worked with designer Jeremy Scott to produce an all-black pair of Adidas Wings trainers. He also made history in 2016 when he became the face of Dior Homme—the first one to be a person of color. His various business ventures both in film and fashion helped in elevating his career and his wealth. As of early 2018, based on authoritative sources Rocky’s net worth is $6 million. He was able to acquire his massive wealth through the sale of his various hit songs and albums and his other business ventures. Rocky is known to date famous female celebrities and personalities, including Australian rapper Iggy Azalea from 2011 to 2012, model Chanel Iman from 2012 to 2014, Tahiry Jones from 2014 to 2017, and most recently Kendall Jenner from 2016 to 2017. However, he is still officially single.